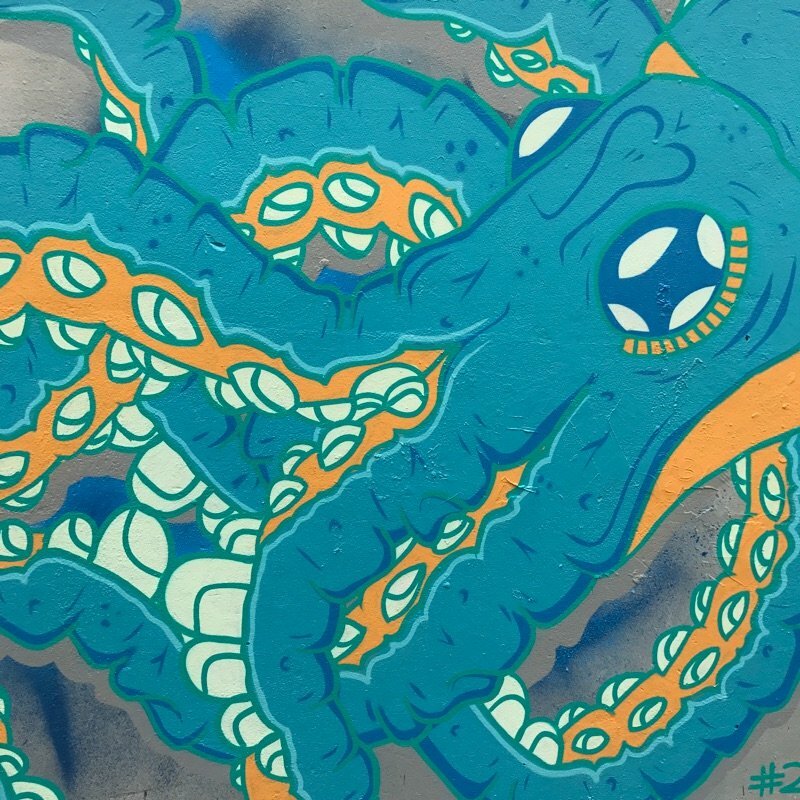 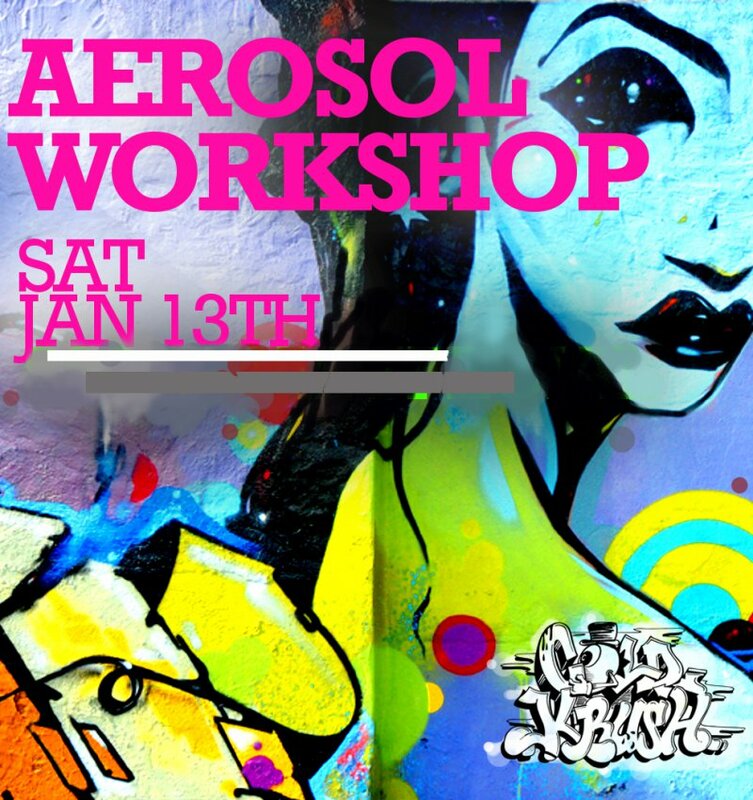 Announcing our first Aerosol Art Workshop for 2018! 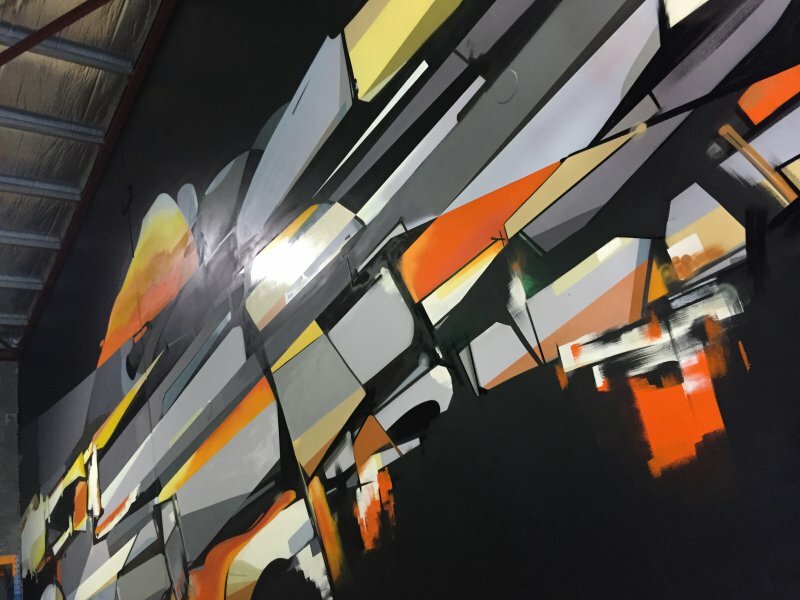 Workshop will run from 10am - 12pm, Saturday 13th January. 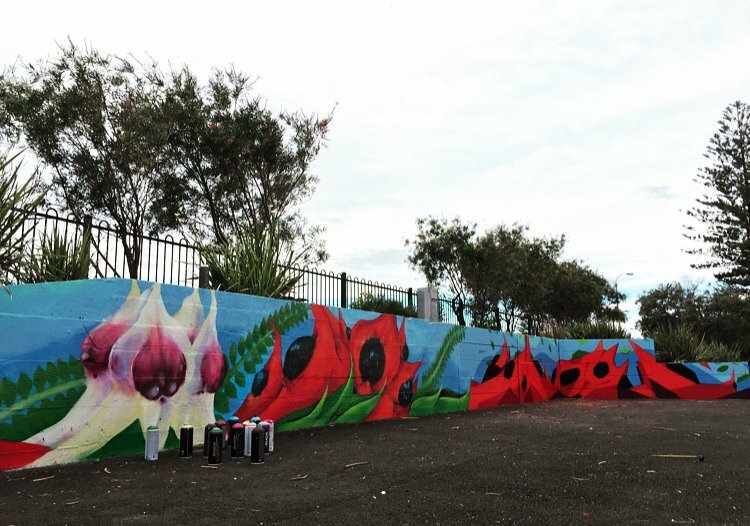 *Hit the link to secure your booking by purchasing a voucher / gift card for the day. 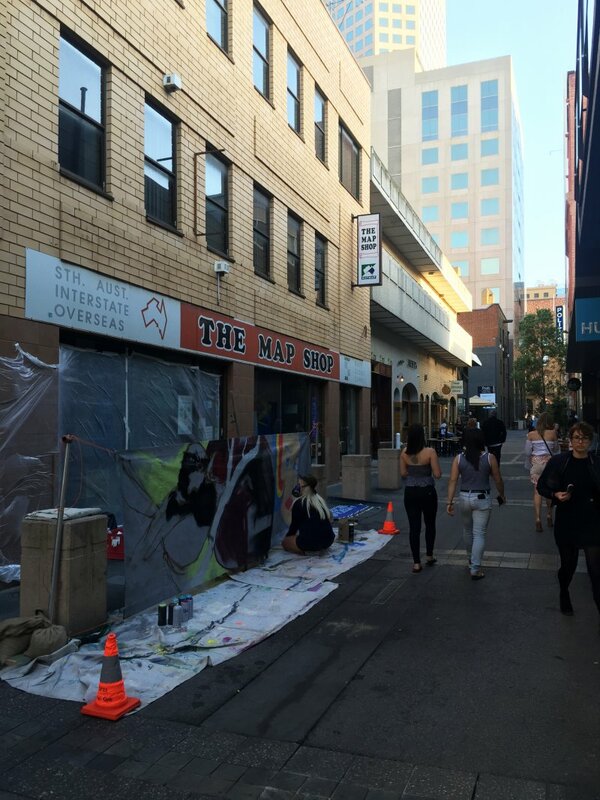 Creating an atmosphere for Peel Street a few weeks ago! 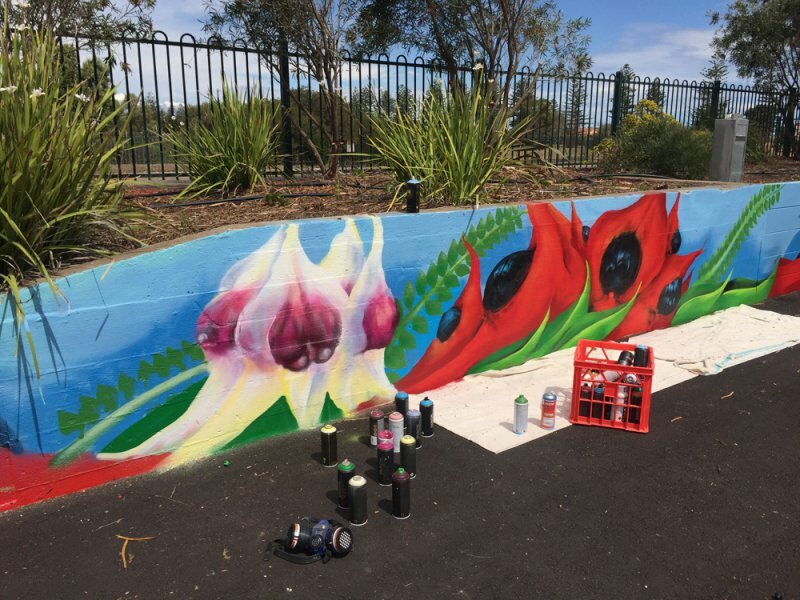 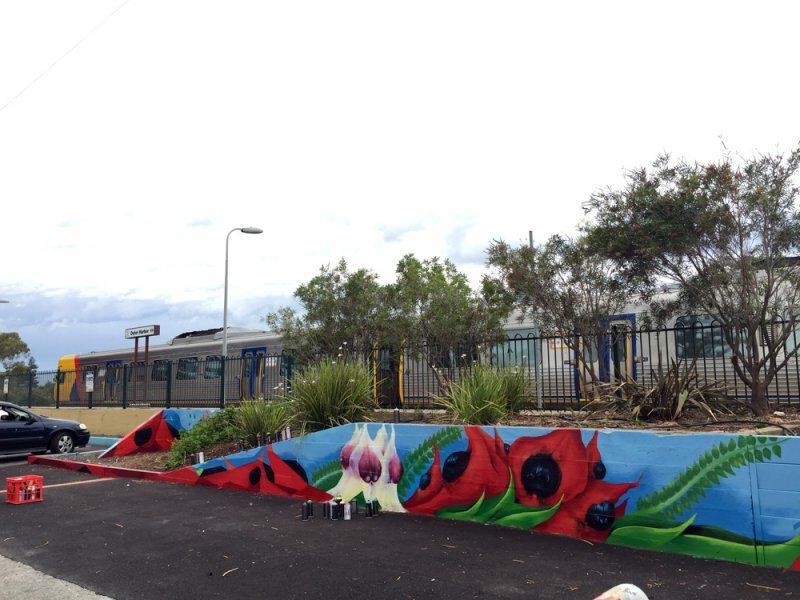 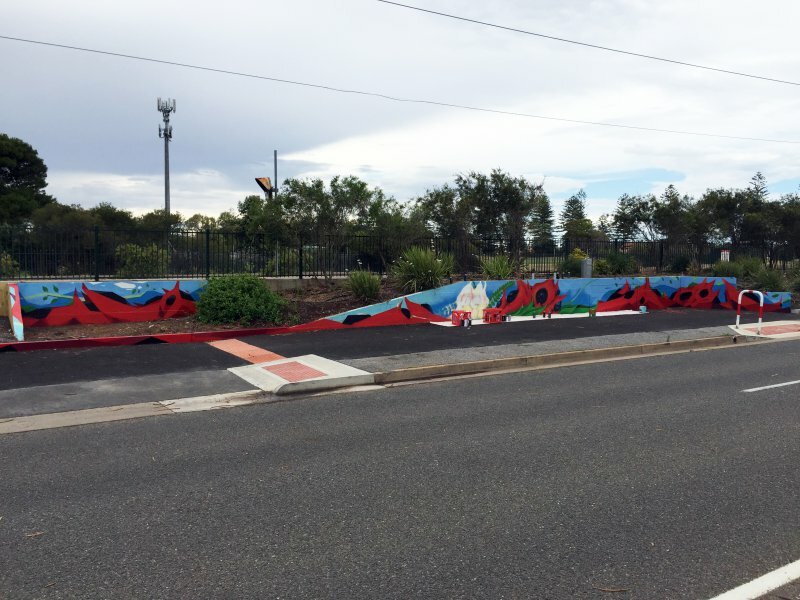 Commissioned by DPTI, this mural depicting the Sturt Desert Pea flower was completed at Outer Harbor Railway Station a few months ago. 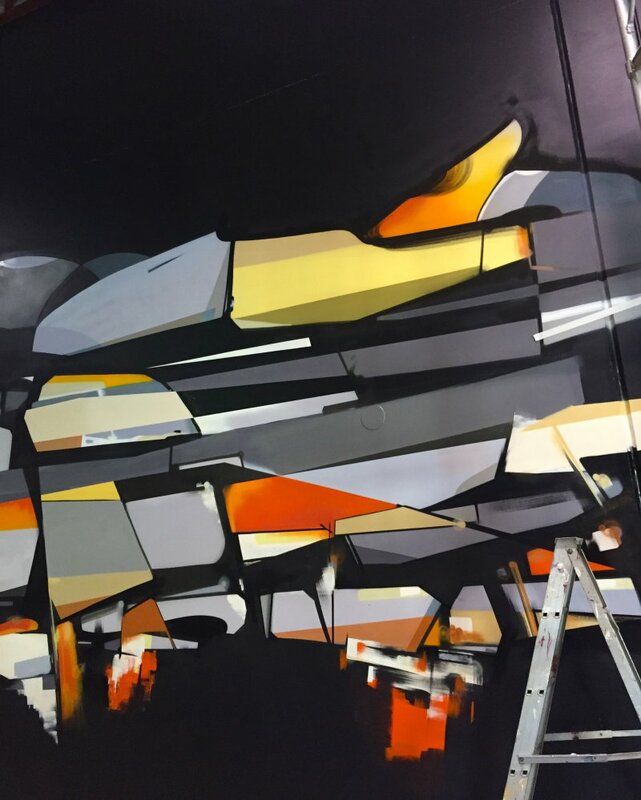 Large interior abstract work by TARNS ONE! 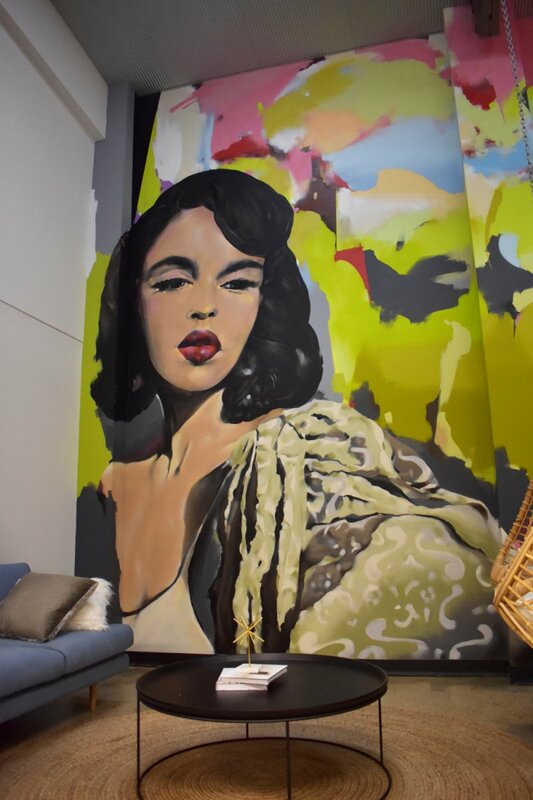 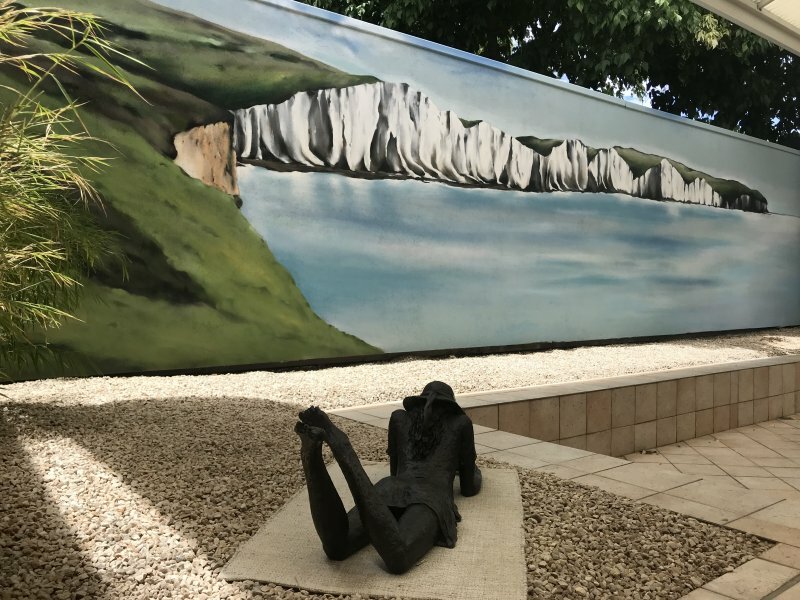 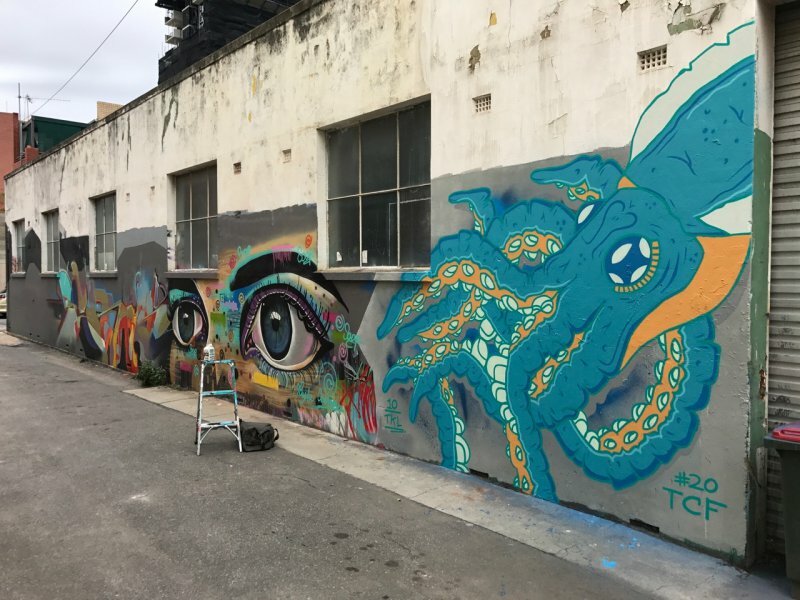 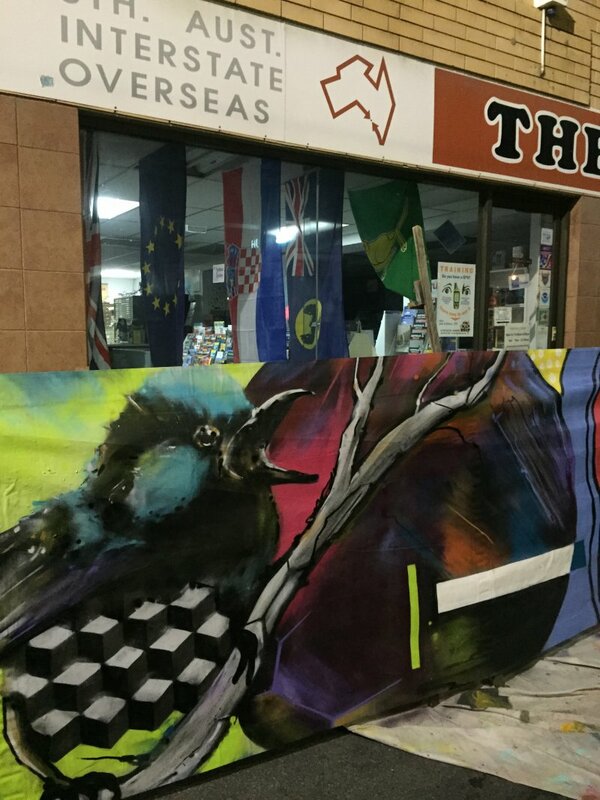 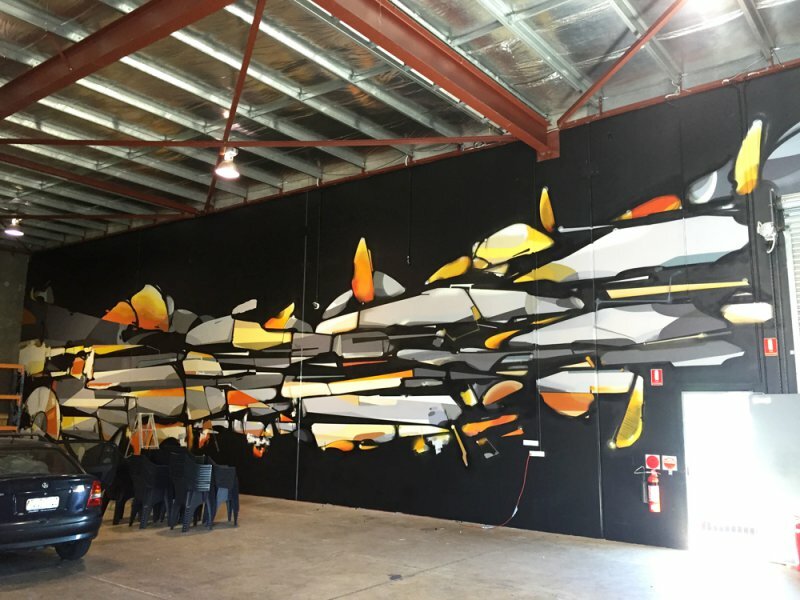 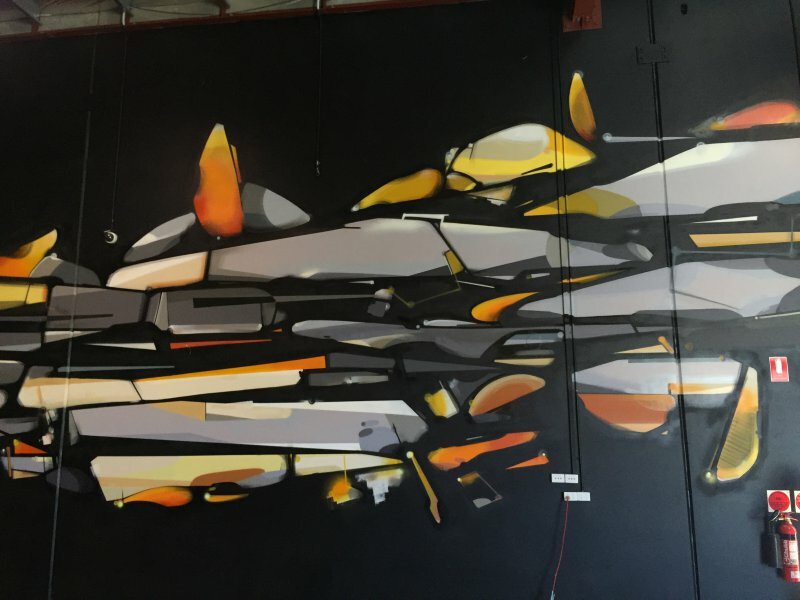 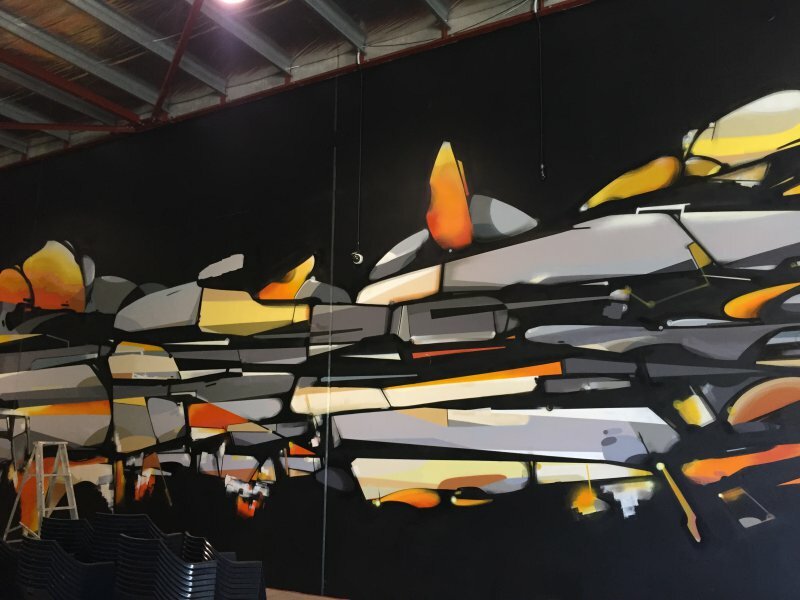 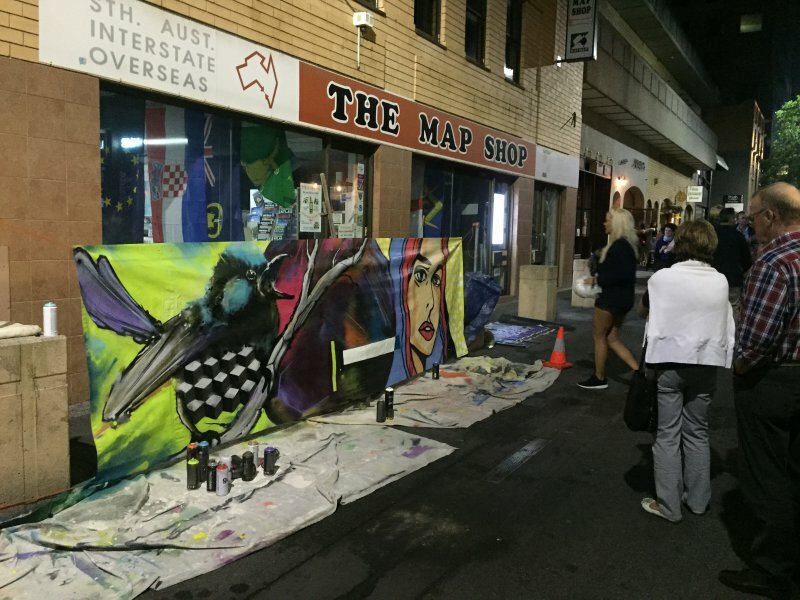 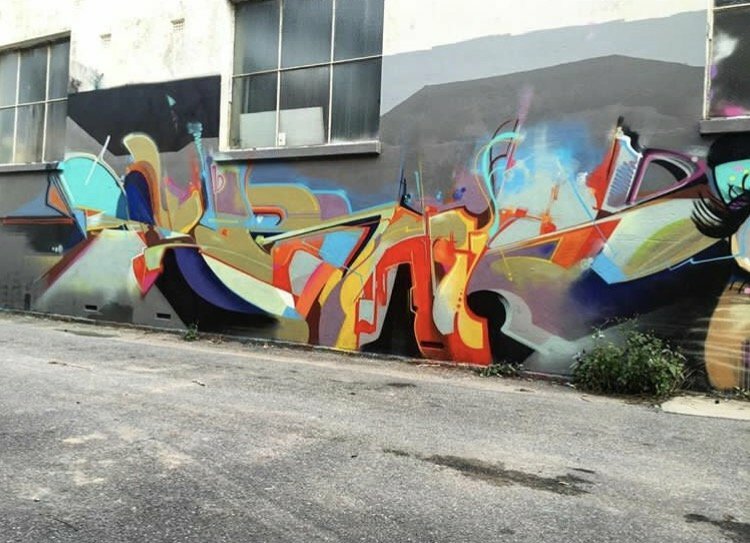 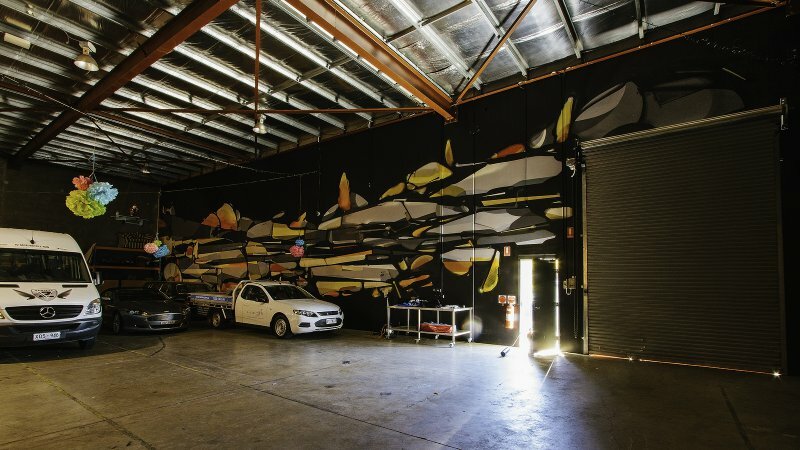 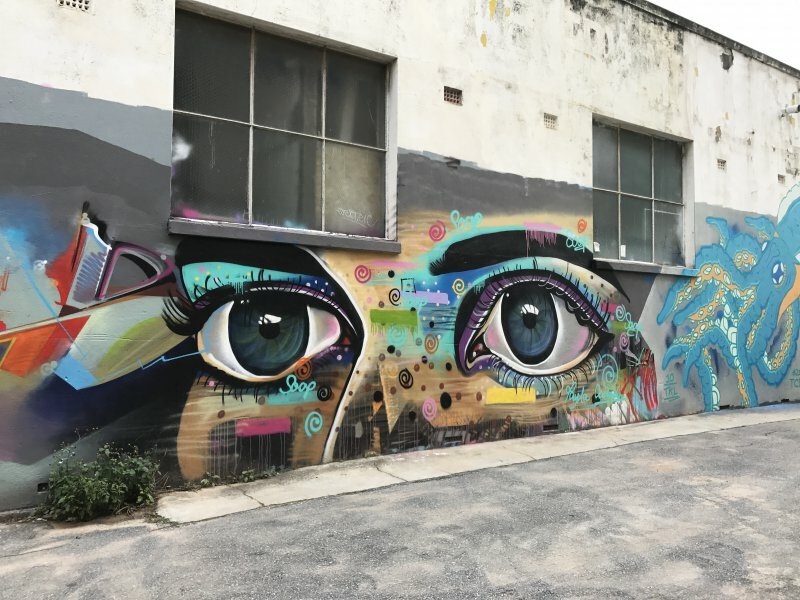 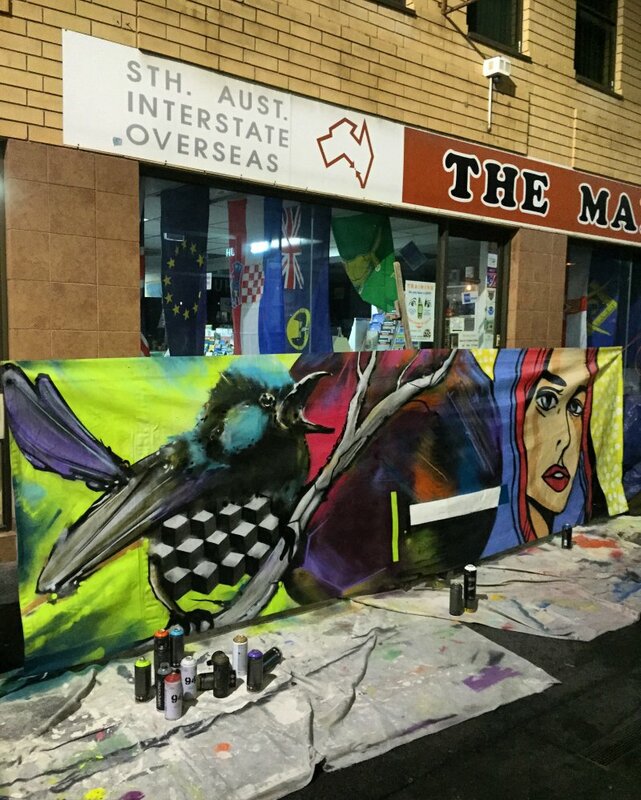 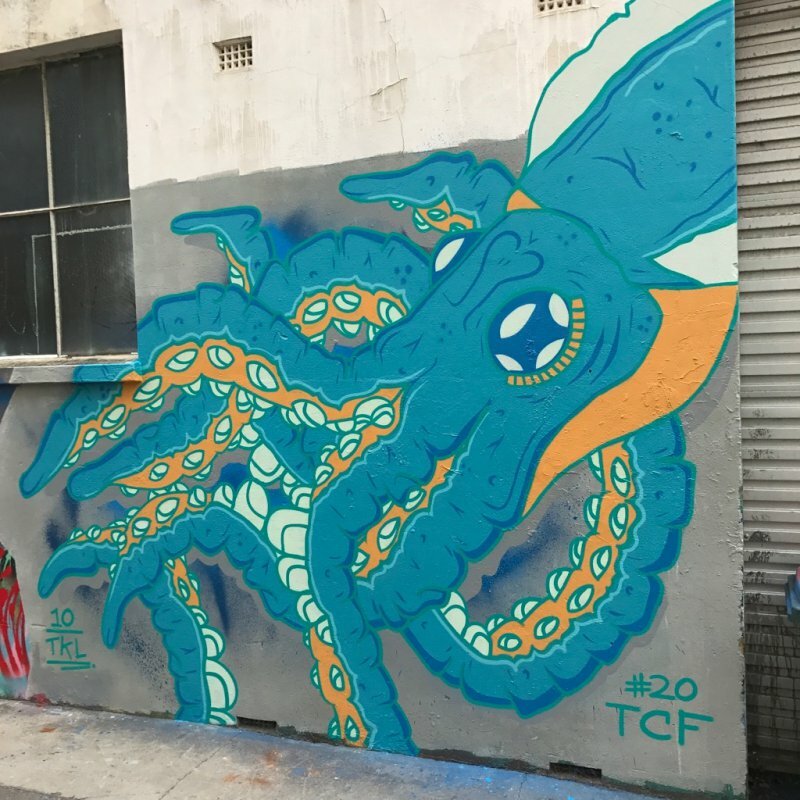 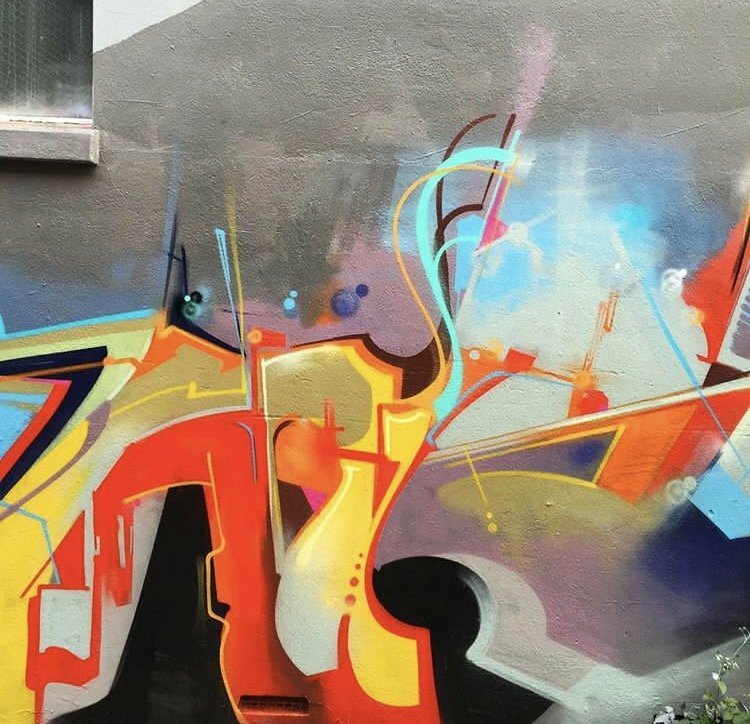 Recently commissioned by SACARE in Adelaide, this was a great chance for in house artist, Tarns, to really demonstrate his current direction in abstract mural art.